Californian girls certainly know a thing or two about hair and how to achieve those covetable beachy waves, so I was over the moon when a package arrived from a brand called Playa, straight from Venice Beach, LA. There is something incredibly cool about the spirit of LA and California in general, and I think us Brits are obsessed with their way of life over there, as much as the rest of the world seems to be! I know it's been at the top of my own wanderlust list for a very long time and when finances allow, I'll be booking a trip to sunny SoCal as soon as possible! 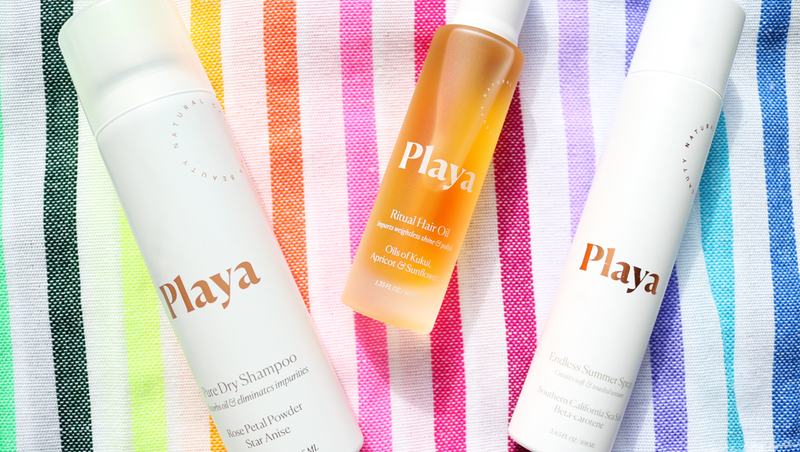 Until then, I'll have to be content with experimenting with as much Californian beauty products as humanly possible, starting with these natural hair goodies from Playa. 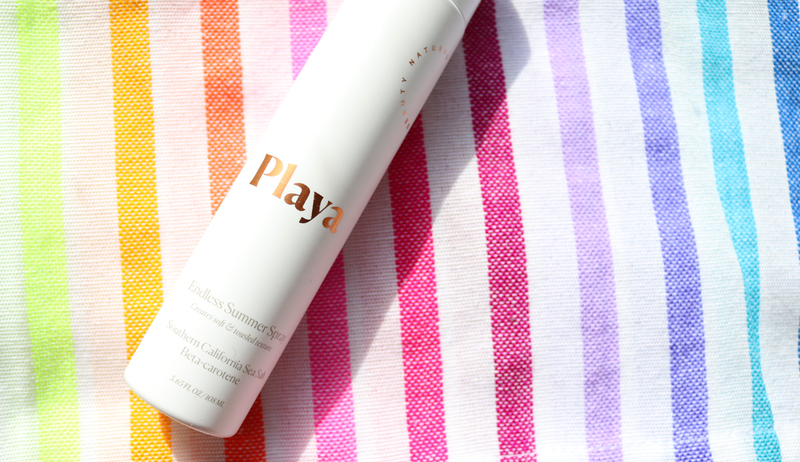 Playa is a brand new botanical based hair care brand which only recently launched back in May, but it's already caught the attention of the likes of Byrdie, Vogue and The Wall Street Journal, which is hella impressive, to say the least. Founded by a former fashion stylist named Shelby Wild, the young entrepreneur packed her bags and moved from New York to LA to be next to the beach and reconnect with nature. She studied Herbalism and after years of development, Playa was born. Shelby very kindly sent me a couple of Playa's best sellers to try out and even though the weather has taken a turn for the worse in rainy old England, at least my hair has been looking good! Dry Shampoo is a massive lifesaver for me, especially when I'm running late or I simply haven't had the time to properly wash my hair. I also have naturally oily roots and I find that if I did wash it every day, it becomes even oilier, so a good quality dry shampoo is a must! 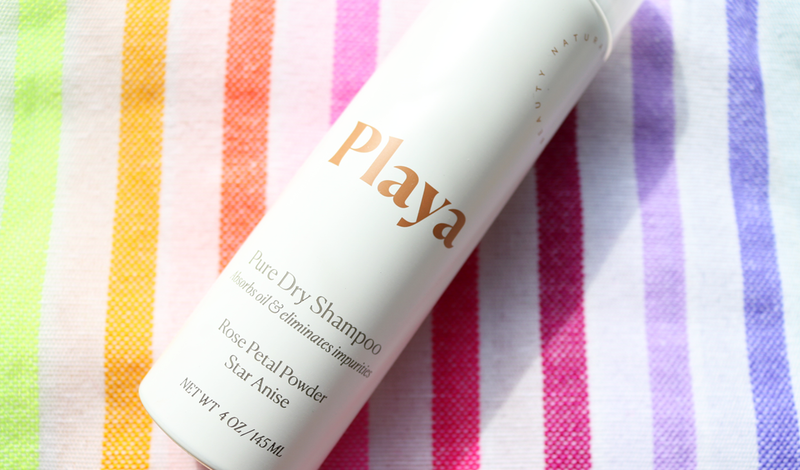 Playa's Pure Dry Shampoo features a blend of botanicals and minerals to refresh and absorb excess oil. Key ingredients include Rose Powder which is great for sucking up grease and keeping hair soft, whereas Star Anise extract helps it be kind to sensitive scalps and eliminates any impurities. The end result is super fresh hair that has some extra volume to it, but without any build-up or residue afterward. I'm really impressed with this - it's easy to use as a spray activated dry shampoo, and it keeps my hair feeling fresh all day long. Alongside dry shampoo, I always keep a stash of hair oils handy to help me make some sense of my notoriously frizzy locks, and they come in really useful when my hair is feeling damaged or dry. I was excited to try the Ritual Hair Oil as it contains a super blend of Kukui, Apricot and Sunflower Oils in a Coconut Oil derived base, and I have to say that it did not disappoint. It has an ultra convenient dropper applicator and I've found that I only needed a couple of drops to get the best results each time. I was a little worried that the oil was going to be too rich for my fine hair, but the formula has been specially designed to be weightless and easily absorbed without the need for silicones, so my hair has been loving it! It works wonders for taming frizz and flyaways, and my dry ends and lengths feel stronger and look much shinier since I started using it. Amazing stuff! As I mentioned earlier, my hair is very fine, so it needs all the help it can get when it comes to volume and creating texture in hairstyles. The delightfully named Endless Summer Spray is a must-have for anyone who wants to get those covetable beachy waves without the annoying crunch or sticky residue. It uses Sea Salt that's harvested from Southern California and contains a Marine Complex which helps to add volume and shine, plus there are natural UV filters included in the formula to shield your hair from the worst of the sun's damaging rays. This styling spray is really easy to use too; a quick spritz here and there gives you instant texture and a little volume boost without making my hair feel dry. All I need now is a holiday to California! 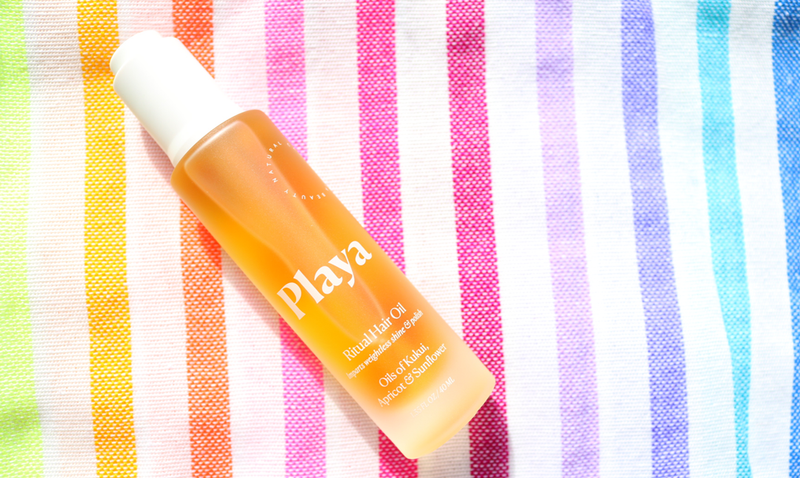 Shop the full range at Playa.ca and keep an eye out for a UK launch early next year in Space NK and Liberty. Are you a fan of Californian beauty brands?